Recently, after searching on the internet for some sort of earring and jewellery storage, I came across Stackers. 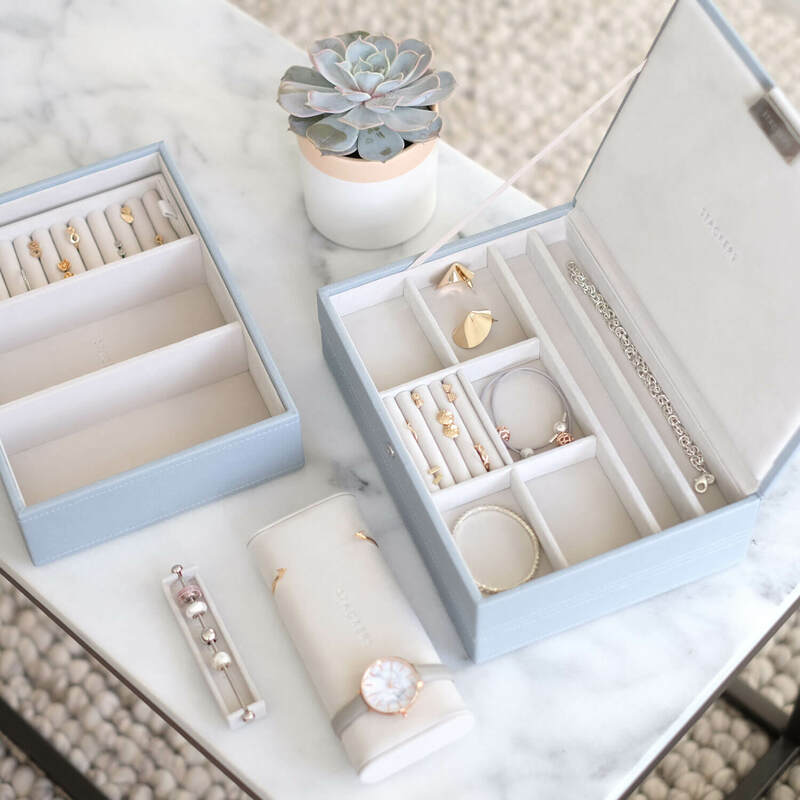 Having never heard of the brand before, I was extremely intrigued by these cute, stackable jewellery storage boxes, especially the one with the 25 individual compartments for storing earrings. 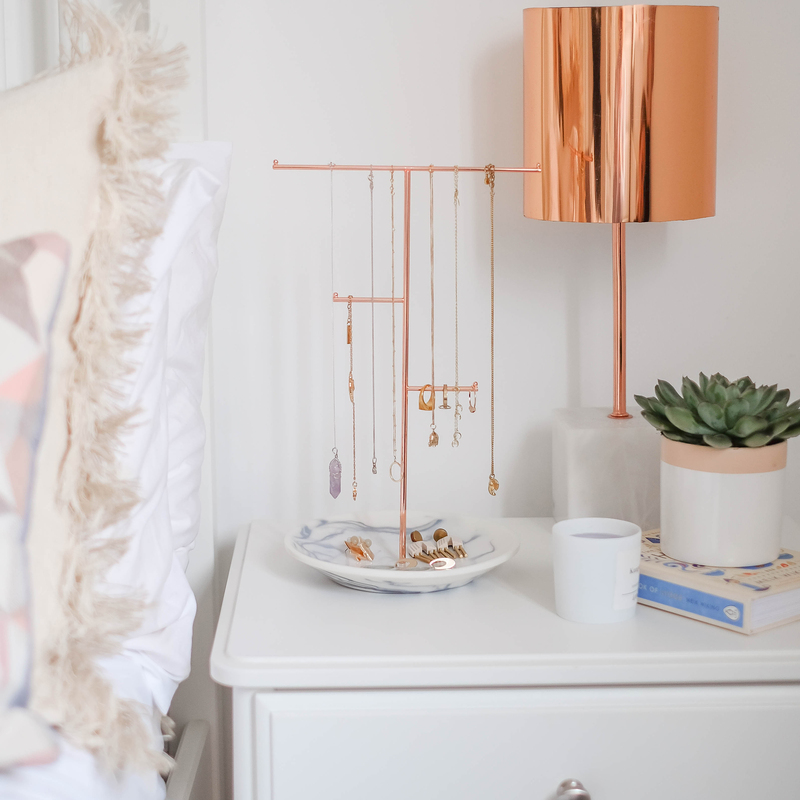 My bedroom is mainly white with a splash of duck egg blue, so the Duck Egg Blue with Grey Polka fitted in perfectly with my colour scheme! 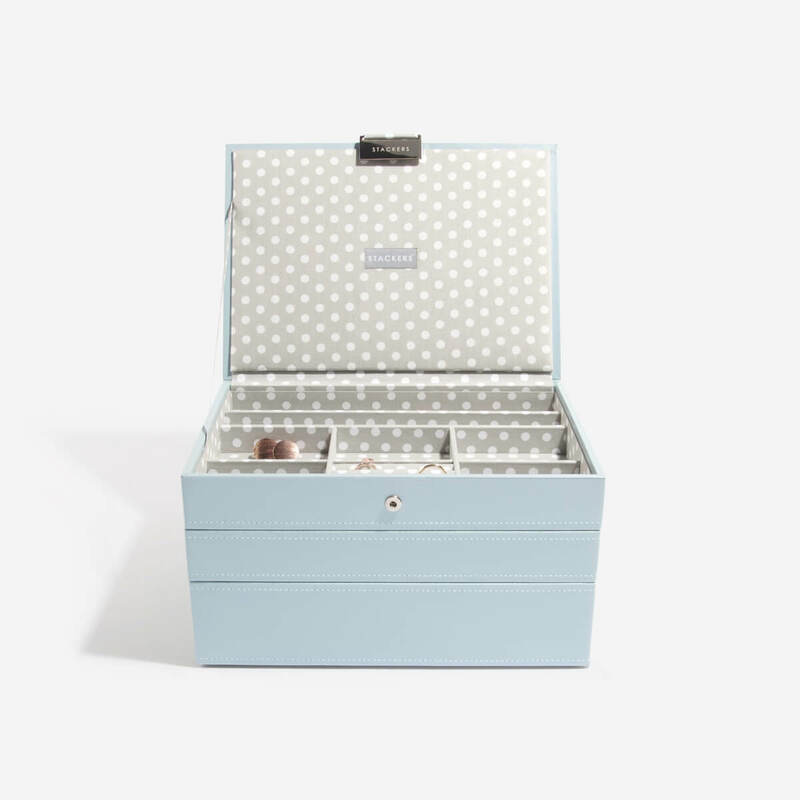 The attention to detail on the Stackers Jewellery Storage Boxes is amazing - closed with a little silver press stud, I love the spotty lining that is briefly on show at the front. I certainly think the design and quality looks a lot more expensive than what they are. Inside the Lidded Jewellery Tray Stacker is room for rings, necklaces and other pieces of jewellery. The box inside is lightly padded too, giving it an even more luxurious feel and look. They also stack together very snuggly, but are easy to place on top of each other and pull apart with ease. The 25 Section Stacker is my ultimate favourite as I was continuously losing earrings and misplacing them. They were getting dusty in a vintage pot on my dressing table and I really needed somewhere 'proper' to store them. The last stacker I ordered was the Deep Open Stacker which is suitable for keeping boxes in and neatly sits on the bottom of the stacker boxes.